Users help Microsoft track down why the Surface 3 tablet would overheat and make a lot of noise. Microsoft's third stab at a tablet, the Surface Pro 3, seems to be faring a little better than its predecessors in terms of market embrace. However, problems with overheating and excessive fan noise have come to light in recent weeks. People have complained on Microsoft’s Community forums about this problem, but up to now haven't gotten much response back from Microsoft. They noticed excessive heat and fan noise taking place at random times, regardless of whether they did something simple, like watching a YouTube video, or intensive, like playing a game. Fortunately, some smart users have stepped up to find the problem. A user named "Step_001" posted on August 23 that he believes the problem is being caused by the Windows Installer Module and the Windows Installer Module Worker, which start in the background at random times and cause the CPU to work at higher speeds. This causes the heat and the fans to kick into overdrive. Step_001 opened the Task Manager and ended both WIM and WIMW tasks, causing fan activity and heat to significantly decrease. "I've been pressure testing this on my new MS SP3 for 8 hours," he wrote. He then replicated actions from other users that also caused problems. He found that running YouTube, games and Windows Update with WIM & WIMW active causes overheating, but if those tasks are turned off, the system, fan, and temperature normalize. Others began testing the fix and at least one user said it worked. User "ToddMcMullen" wrote, "I killed those processes when the fan took off without doing anything (just sitting at the desktop with no apps running). After killing them, the fan stopped sounding like a turbo fan and the back of the SP cooled quickly and significantly." It turns out the WIM and WIMW have been bad actors before. Google search "Windows Installer Module" and you will get a few pages complaints of high CPU usage, and that's on PCs, not tablets. Both WIM and WIMW are for installing new software on a PC, so they are somewhat necessary. "The Surface Team is aware of a very small number of Surface Pro 3 Intel® Core™ i7 devices that are temporarily restarting and incorrectly showing a 'Thermometer Gauge' icon while attempting to boot up. Our investigation reveals that the system is triggering this event sooner than it should for some people, only when the device restarts, and this does not occur when the device is booted and running. We have an update that will address this that will be ready for our customers as soon as possible. 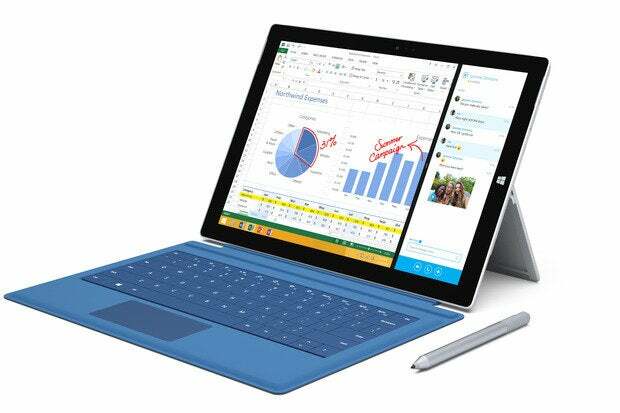 The i7 version of Surface Pro 3 is a first-of-its-kind tablet delivering i7 processing power in a thin and light package. As such, the increased power calls for the fan to spin more regularly and at higher speeds – and for the unit to run slightly warmer. If customers have any questions or concerns, they should contact Microsoft Support."